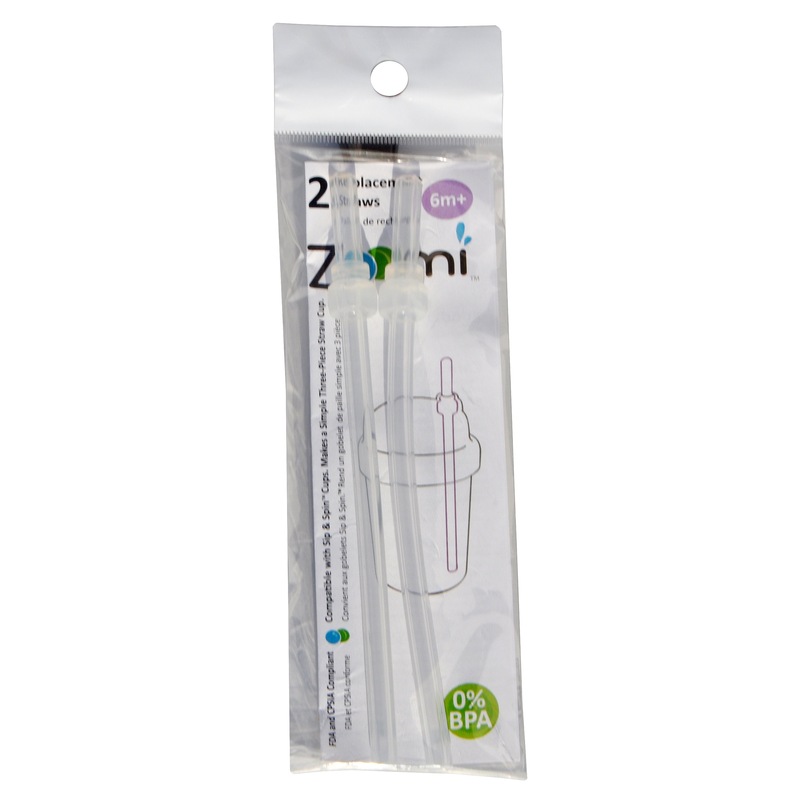 The Zoomi straw cup is great for use with water, juice, or milk. All parts come fully apart and have great access for cleaning, so there are no small crevices or hidden compartments for mold and bacteria to hide in. 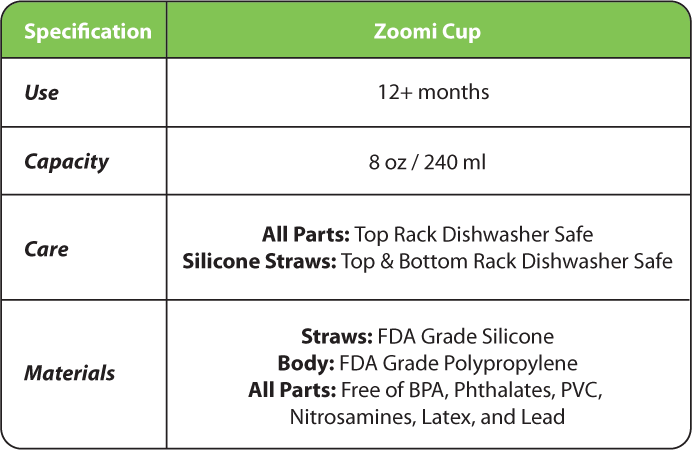 Since the straw is valve-free, it gets cleaner in the dishwasher, and is a snap to clean in the sink too. 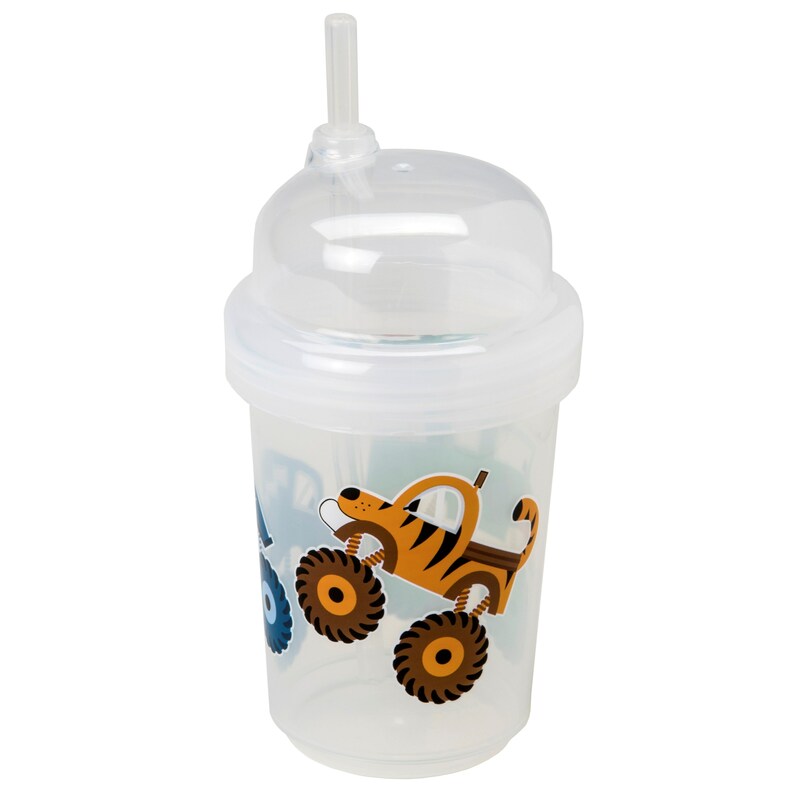 The valve-free straw also reduces the risk of baby bottle tooth decay by allowing your child to sip easily. 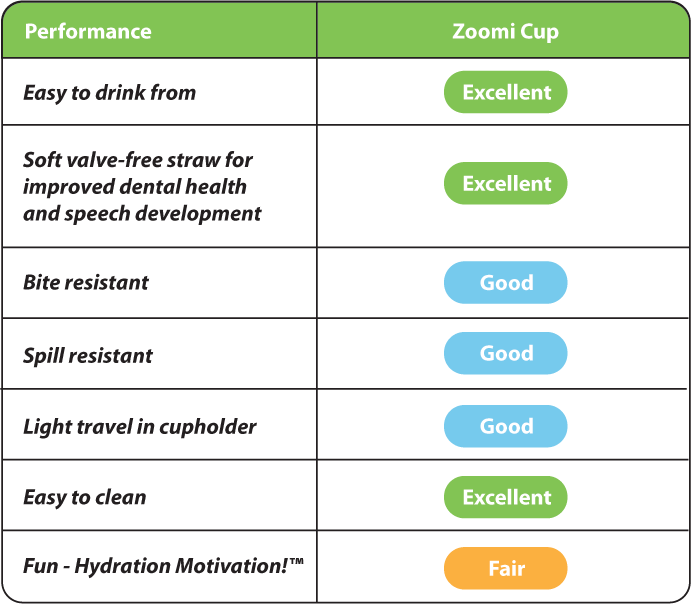 The soft silicone straw and semi-flexible cup and lid reduce poking and fall hazards (the most common injury caused by bottles and training cups). The straw is designed to prevent your toddler from pulling it out once the lid is screwed on. A special manufacturing process adds a polypropylene barrier over the graphics so they can’t be chewed, scratched, smudged, or stained. 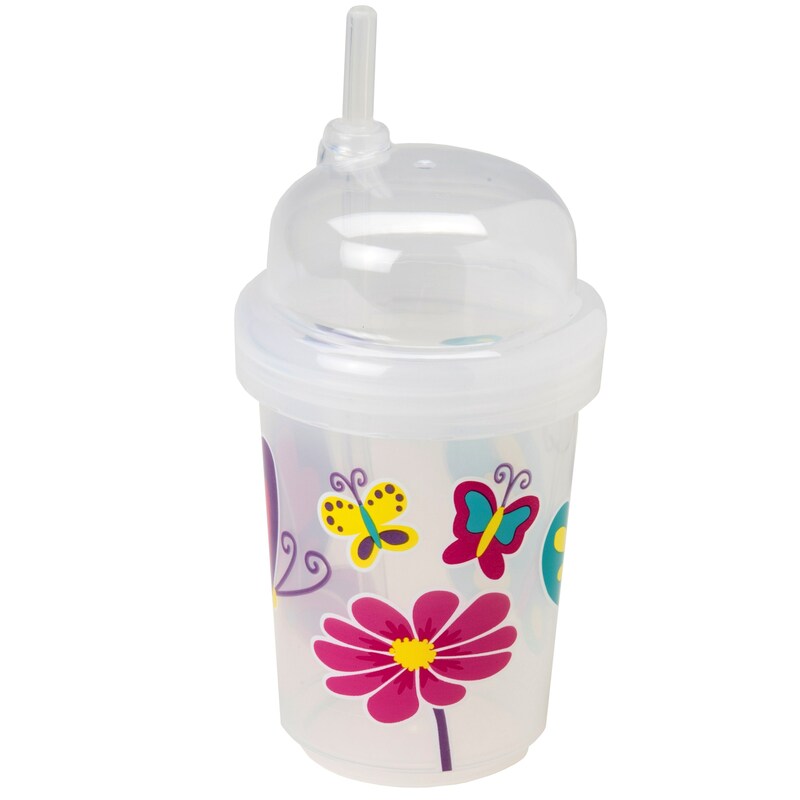 The cups are made from time-proven FDA grade polypropylene and the straws from FDA grade silicone. 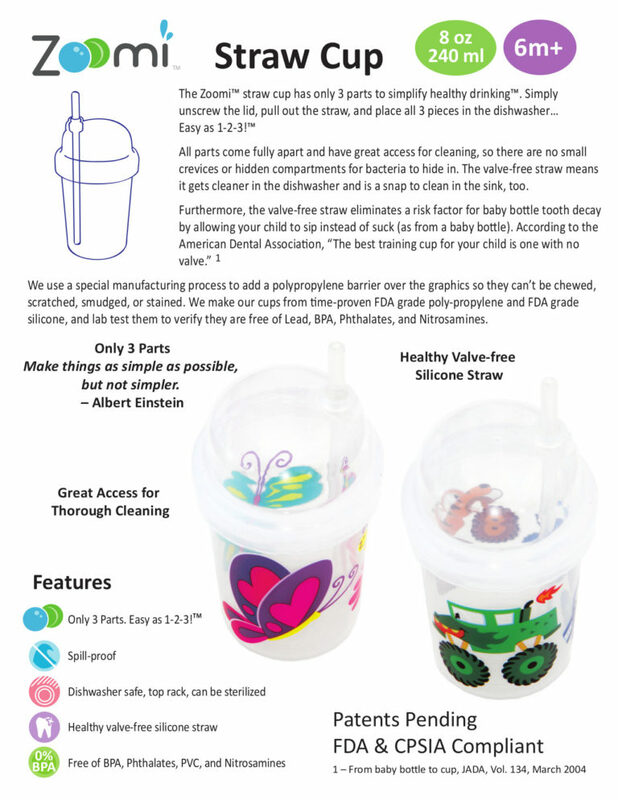 The patent pending design minimizes overall spillage while staying valve-free. 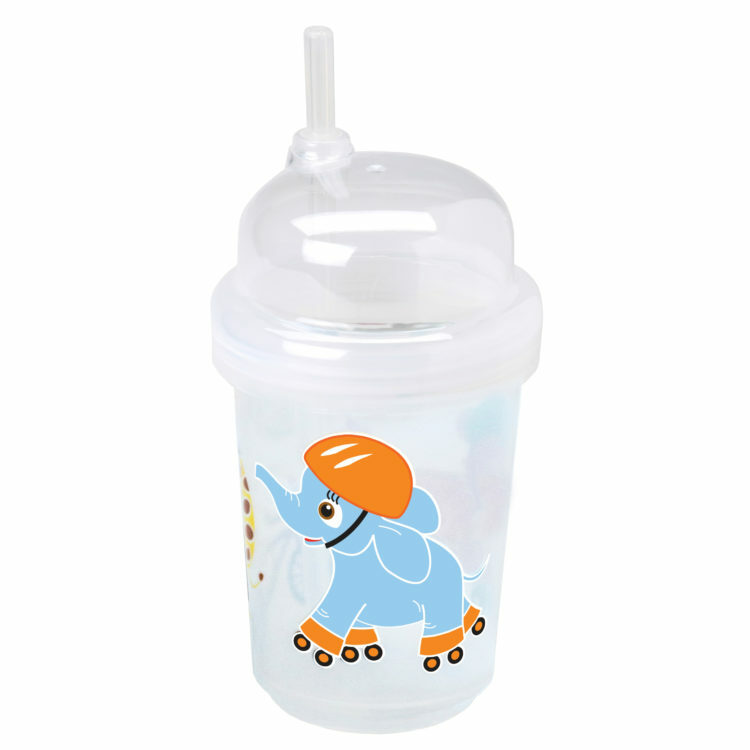 The air vent has a spill trap to reduce spills when knocked over, turned upside down, dropped, warmed up, and so on. Developers: nuSpin Kids, Long Beach, CA, USA. Patents Pending.